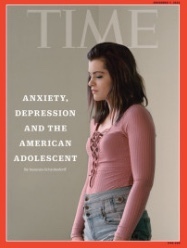 This week’s Time Magazine had a cover that brings attention to the important trends facing young adults and college students. 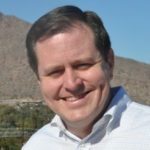 The title “Anxiety, Depression & the American Adolescent” is a familiar theme to our team at GradGuard. We watch student health trends closely and recognize it as a fundamental risk to the investment families make in a higher education. 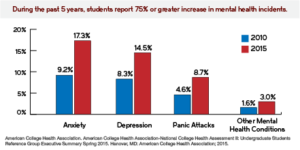 Colleges and Universities have recognized the mental health needs of college students for some time. The growth, however, in mental health related illnesses is noteworthy and substantial. 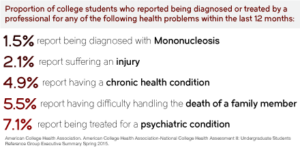 The data is alarming, particularly considering that health incidents can often disrupt a student’s education. 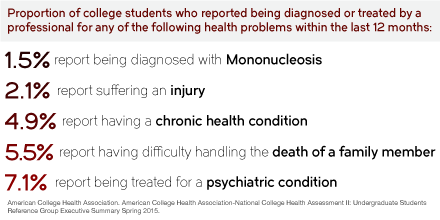 Families are often aware that their college student may be vulnerable to the stress of college life but it is important to note that ordinary student health problems such as a mononucleosis, chronic health conditions or injuries also may force a student to withdraw from classes and cost a student and their family thousands of dollars. Remember like all insurance, coverage is determined by the actual policy. 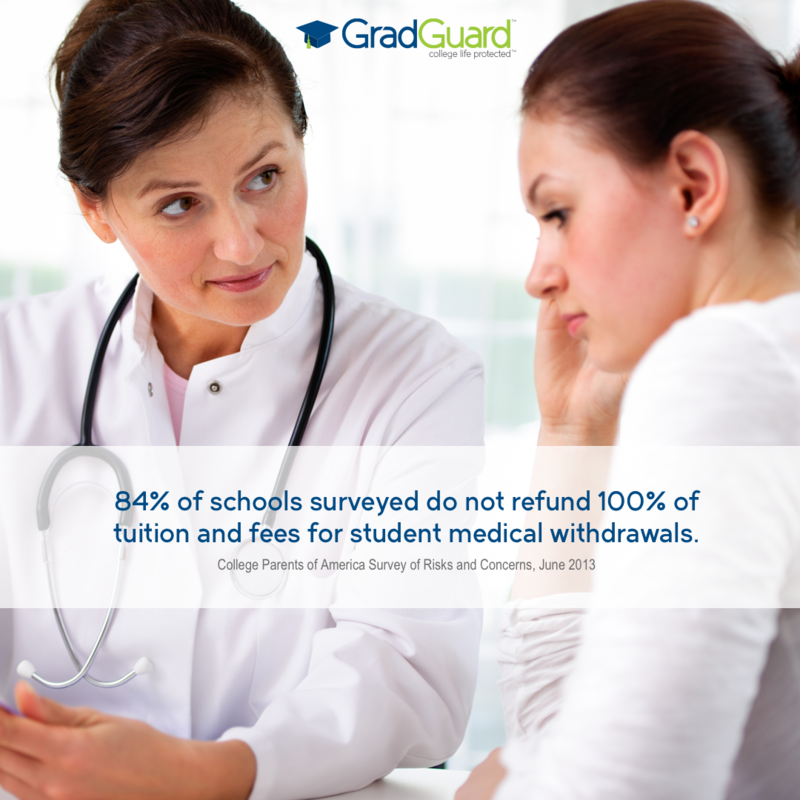 A student must complete a medical withdrawal that is verified by the school. Some illnesses require proof that severe enough to require the student to withdraw from classes mid-semester. For instance, general anxiety regarding exams isn’t sufficient but mental health issues that require hospitalization generally are. Check your policy for complete details as certain states and schools have unique requirements. 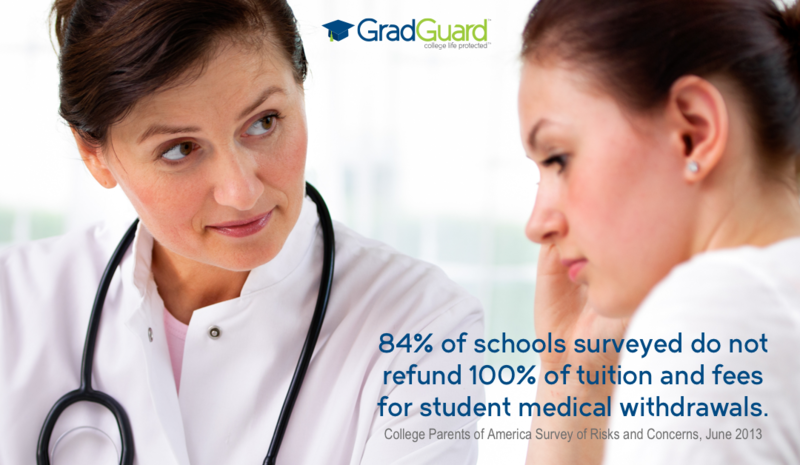 GradGuard’s mission is to help protect the investment of college students and their families make in higher education. Indeed, for many parents, college is the 1st or 2nd largest investment in their family financial life. As a result, it is a smart move to know your college refund policy and to consider protecting your student with tuition insurance.